Learn Astrology or have your horoscope read, from followers of a 500-year-old tradition! Visti offers consultations of 30 mins [EUR 69 €], 60 mins [EUR 132 €] and 90 mins [EUR 204 €] over Phone or Zoom Conference. Part 4 of Predict with transits is an audio lecture performed by Visti Larsen covering the topic of the most important planetary transits, and its significance as taught in the Vedic tradition. Some of the points covered during the lecture are Sade Sati, Kantak Shani, Arudha gochara of Saturn, Jupiter and the nodes (Rahu and Ketu), remedies for the same, and so much more. Part 3 of Predict with transits is an audio lecture performed by Visti Larsen covering the topic of the most important planetary transits, and its significance as taught in the Vedic tradition. Some of the points covered during the lecture are Sade Sati, Kantak Shani, Arudha gochara of Saturn, Jupiter and the nodes (Rahu and Ketu), remedies for the same, and so much more. 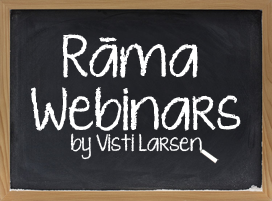 Visti teaches Vedic Astrology courses online through the RAMA Academy for Mantra and Astrology. The courses are prerecorded and available online, and include hours of material on various topics of astrology, ranging from a basic to advanced level. Click here to access the courses and learn! Attempting to imitate his Guru’s every word and gesture, his understanding, academic and systematic approach to the Astrology has earned him much appreciation within the Jyotish spectrum. He, like his teacher, is a strict follower of the ancient teachings and a promoter of Sanatan Dharma, encouraging vegetarianism, a spiritual and holistic lifestyle. Having a background in other religious philosophies, he enjoys bridging the gaps between different schools of thought, and understanding the truths that unite all religious philosophies. As an Astrologer, I'm amazed at how well Visti communicates very complex and sophisticated ideas in a way that is easy to understand and digest. Even within the Astrological Community itself, Visti is considered among the best. More importantly, the genuineness that comes through touches the heart, and I'm certain that the ripple effects of this will touch many lives for generations to come. I know Visti first as a senior student of Pandit Sanjay Rath, as the author of Jyotisha Fundamentals (newly updated, I just learned) and as a teacher in his own righ with an awesome and intellectually generous website. Clearly, Visti has rishis sitting on his head, and that will benefit anyone consulting him. Visti came to my first consultation with him clearly prepared and organized, and while he lets you wander, he always keeps your questions in his mind. Visti explains everything, makes sure you're satisfied with his responses, and follows up immediately with any identified remedies or resources. For those with a couple toes in Parashara or Jaimini, Visti is great, because he can't help teaching as he goes! I highly recommend him. The syllabus primarily includes the jyotiṣa classic Bṛhat Parāśara Horā Śāstra as available today. The various chapters are grouped into various “Topics” to be covered in two parts – (A) Jyotiṣa Paṇḍita ( Four Academic Years) and (B) Jyotiṣa Guru (Two Academic Years). Cartificate of completion is issued after successful completion of these programs. The most advanced, Maharṣi Jaimini Upadeśa Sūtra, compiled by the Sage Jaimini, is an advanced Astrology work spanning over the entire specturem of Vedic Astrology. The course is taught in person, over 5-6 years over both digital media and through in-person workshops. The course includes the verse-by-verse study of the Astrology Sūtras of Jaimini, assignments and certification as Jaimini Scholar. 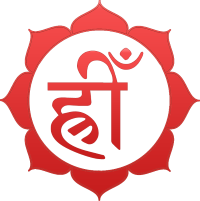 Taught in the tradition of Puri, India and includes learning the various tools and processes that go into the formation and working of mantra as used in Vedic remedies. Sādhanā (penance) is a compulsory part of the course and will include the worship of various Vedic deities including Gaṇeśa, Guru, Śiva, Sūrya, Viṣṇu and/or Devī. The name; Garuda, is that of the celestial bird-figure, who acts as a protection for his worshipers against snakes and poison and liberates his worshipper through Sri Vishnu, whom rides Garuda.